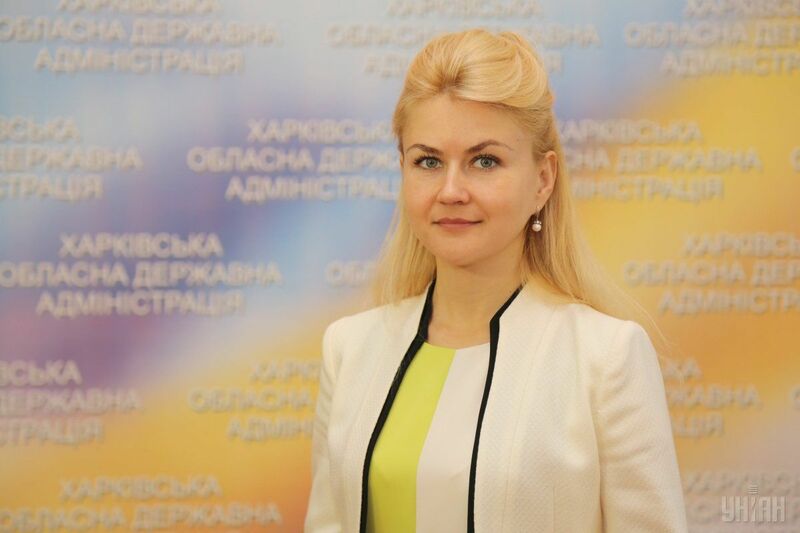 Ukrainian President Petro Poroshenko has introduced new Chairman of Kharkiv Regional State Administration Yuliya Svitlychna at the meeting with leadership of the region, the president's press service has reported. The Head of State signed Decree No. 462/2016 on the appointment of Yuliya Svitlychna as Chairman of Kharkiv Regional State Administration, according to the press service. The President noted that a "very strict and competitive contest" had been held under the new law on civil service in order to appoint a person to that post. Read alsoPoroshenko appoints Acting Chairman of Kharkiv Regional State AdministrationAccording to the Head of State, this fact brings in a serious adjustment to the gender content of the staffing policy of Ukraine. Poroshenko emphasized that the given appointment symbolized the emergence of a new generation formed in times of Ukrainian independence. The President added that the whole work experience of Yuliya Svitlychna had been related to Slobozhanshchyna. "She enjoys respect, knows the region and its problems well," he said.